I wouldn't have written a blog post like this, if not for the conversation I got into with a friend just few hours ago. Thanks to him for inspiring me to write this post. While we were having a discussion about the speed of the internet connection on our Smartphones this night, he said he's got 4G on his phone and I was surprised because I was aware before that his Phone is not really a big deal - Tecno M3. Asking him how he was very sure he has 4G on his phone, he said - "I have H+ on my phone and it's the same thing as 4G". Ooh no, I had to explain it to him from the beginning. Just because someone out there might also be confused thinking the same thing, I've decided to write this enlightening and explanatory blog post. Starting from the beginning of it all, at the top of your Smartphone’s screen, you might have seen letters and numbers like G, E, 3G, H, H+ and 4G. These letters and numbers are indicators telling you the speed of the internet connection your Smartphone is currently receiving and the speed it has. These letters have nothing to do with your WiFi, so don't confuse them with WiFi. WiFi is simply a popular term used for a high-frequency Wireless Local Area Network (WLAN) technology which is mainly used in Offices and Homes. Here is the summary of them all. G is the slowest and oldest internet connection speed available on Phones. It stands for GPRS (General Packet Radio Service), and because of the slow data rate it’s only useful for accessing light web pages and also for sending messages on 2go, WhatsApp and other Instant Messaging Apps. E which is also known as EDGE is a little bit faster than GPRS, but still slow to open heavy webpages, stream music and videos effectively. EDGE is the abbreviation of Enhanced Data Rates for GSM Evolution. 3G is the short form of 3rd Generation, with 3G the internet becomes more practical. Web browsers load up heavy webpages quickly, music & movie streaming becomes possible. The bandwidth and location information available to 3G devices also gives rise to apps and features not previously available to mobile phone users e.g Global Positioning System (GPS), mobile TV, video conferencing etc. 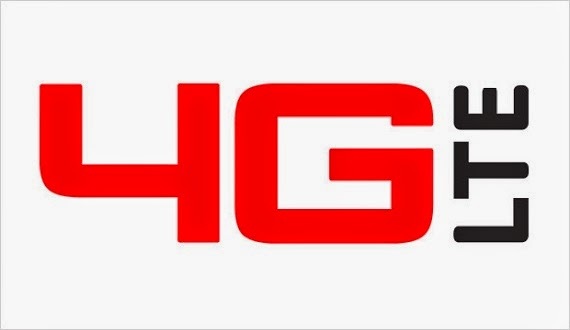 H is an amalgamation of several upgrades to the original 3G standard, it offers better speed and it is thus a faster form of 3G. Making music & movie streaming more reliable. H is the short form of HSDPA, which stands for High-Speed Downlink Packet Access. Just a bit different from H, succeeding H and preceding 4G, H+ is not as fast as a 4G connection but it is really better than H. Downloads are more practical and video streaming is much more reliable with H+ and reception for H+ is more widely spread than 4G right now in Nigeria and even most part of the world (developing countries). H+ is short for HSDPA+ and it also has the same full meaning with H, with just the addition of +. So H and H+ are both 3G connections of different speeds, and if your Smartphone is showing any of them, then it's showing the specific letters rather than the normal speed 3. 4G, derived from 4th Generation and also known as Long Term Evolution (LTE) is by far the fastest internet connection in the world right now. It is a standard for wireless communication of high-speed data for mobile phones and data terminals, increasing the capacity and speed using a different radio interface together with core network improvements. It’s suitable for all internet activities like video streaming, movie downloading, video calls and so on. With your Smartphone being 4G LTE enabled, you've got the world in your palm. When you have a phone that doesn't show 4G but shows any of the other letters/numbers then there are 2 things involved - Maybe your phone is not 4G enabled or maybe you're not subscrined on a 4G Plan or maybe you live outside the location of a 4G LTE area. I've taken my time to explain all the types of internet connection types on Mobile phones, I hope you enjoyed reading it and gained from it. Kindly share this post with your friends & families using the share button on this page. The 100% FREE subscription box is also available below, kindly subscribe so that you won't miss our future updates ! Do you have any question ? Please kindly drop your comments via the comment box. Nice post Ayo.. and I love your blog's theme. Hi Rella, Glad you like the post and my Blog's theme. I also checked out your Blog - rellaidiovo.blogspot.com and it is also very lovely with good contents. Thanks for dropping by ! Awesome post. Will be sharing this on Facebook. 4G will soon be old news as 5G is going to be 40 times faster. Hi, thanks for dropping by. Have a nice weekend !